75 years ago today, an American president passed an executive order that led to the forcible removal and incarceration of 120,000 Japanese and Japanese American men, women and children in American concentration camps (Note: JACL’s Power of Words Handbook). For years, Japanese and Japanese American civilians were imprisoned in hastily-erected assembly centers and camps under harsh, isolated conditions and guarded by American soldiers whose guns were pointed inward. Racism lay at the root of this incarceration: America’s federal government offered the thin reasoning that incarcerees’ race was proof that Japanese American citizens and their parents were spies for the Japanese military. 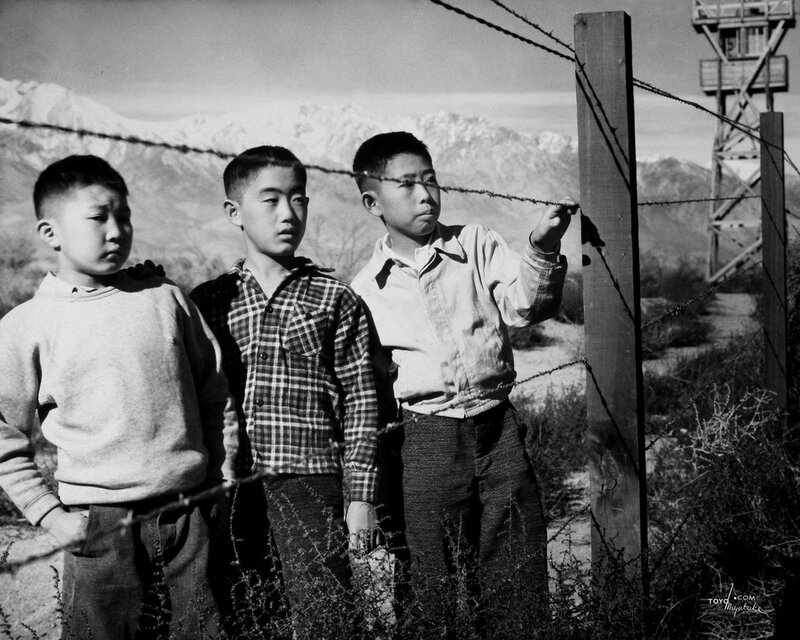 Actor George Takei was a child of 5 when he was labeled a threat to national security by his government, and forced by gunpoint to a distant incarceration camp. Today, America is poised to repeat the mistakes of its history. A new president sits in the Oval Office who routinely uses the spectre of national security threats to target groups of people with discriminatory executive action. Compared to 1942, the victims may differ but the federal government’s reasoning is the same: entire communities of innocent civilians are being labeled as enemies of the state by virtue of their race alone. So, over the last week, some stuff happened between some important Asian American personalities. And I wrote some (long) stuff about it. That stuff is not actually the stuff I wanted to write about today. Today, I wanted to write about today’s Day of Remembrance: 73 years ago today, Executive Order 9066 was signed by President Franklin D. Roosevelt. Executive Order 9066 authorized the eventual round-up and forcible incarceration of Japanese Americans — based solely on their racial similarity to citizens of a country with whom we were at war — in the nation’s largest coordinated concentration camp effort (learn more about the JACL’s 2010 resolution and campaign to target the words we use to refer to this period in our history). Japanese Americans — American citizens by birthright — were imprisoned under grueling and inhumane conditions in repurposed racing tracks and stadiums, and later in the middle of the desert. 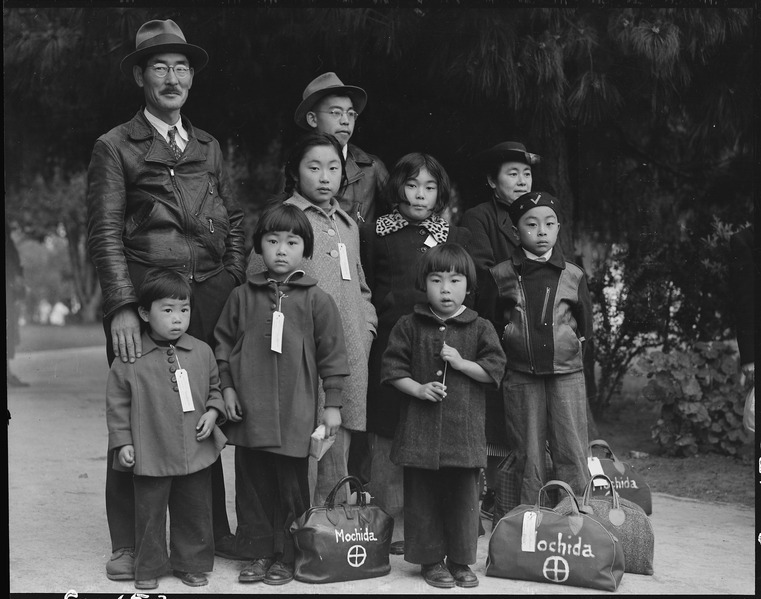 These Japanese Americans and their foreign-born parents (who were denied the right to naturalize as Americans based also on their race) were treated with suspicion of disloyalty. Their possessions were stolen. Children grew up under gunpoint.